Greece: The Cookbook is the definitive work on the rich and fascinating cooking of modern Greece. Greece: The Cookbook is the first truly comprehensive bible of Greek food in English. Rapidly increasing in popularity, Greek food is simple to prepare, healthy and delicious, and, more than most other cuisines, bears all the hallmarks of the rich cultural history of the land and sea from which it is drawn. It is the original Mediterranean cuisine, where olive oil, bread, wine, figs, grapes and cheese have been staples since the beginnings of Western civilization. 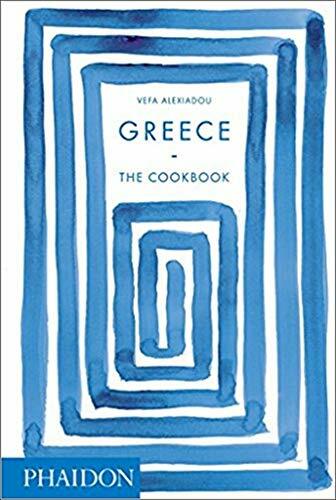 With hundreds of simple recipes by Vefa Alexiadou, the authoritative grand dame of Greek cookery, the book also includes information on regional specialities, local ingredients and the religious and historical significance of the dishes, and is illustrated with 230 colour photographs. Greece: The Cookbook is the definitive work on the rich and fascinating cooking of modern Greece.